FREE SHIPPING ON ALL ORDERS ABOVE $25.00! PURCHASES UNDER $25.00 WILL HAVE A FLATE RATE FEE OF ONLY $5.00! 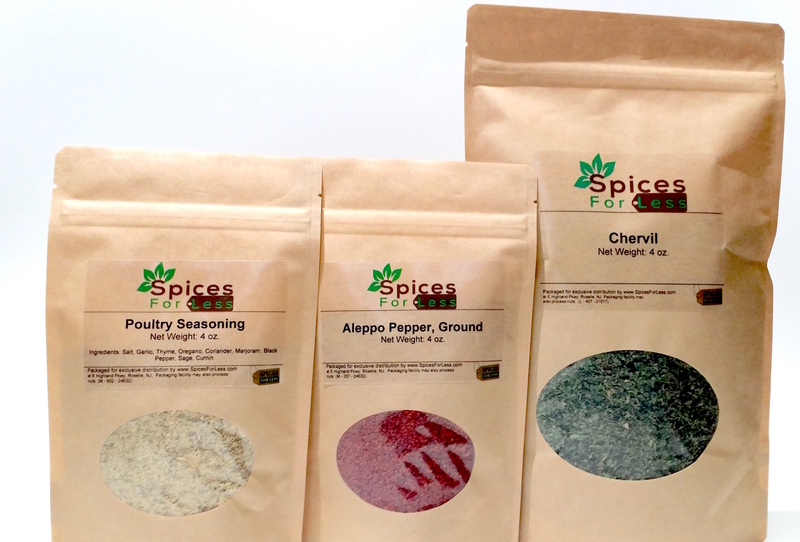 Our goal is to bring you the highest quality spices and seasonings at wholesale prices. Our FREE SHIPPING & FLAT RATE Shipping programs are designed to remove the variability in delivery costs for our customers in the U.S. For expedited shipping, our system is integrated with both UPS and USPS to give you accurate, real-time shipping quotes and we DO NOT charge “handling” fees or mark up these shipping quotes in any way. Our shipping methods for customers in the U.S. (excl. Hawaii and Alaska) will be carried out by the most efficient carrier (UPS or USPS) and you will be provided with tracking information and updated accordingly via email when your order has shipped! Are you in a rush?? We also offer expedited shipping options via UPS. For example, you may choose UPS Ground, Next Day, 2nd Day, 3rd Day, etc, and shipping quotes for these services will be provided in real time through our integrated system with UPS. Please note delivery time for these are business days. We have no influence over these rates, and any such quotes are dependent upon the level of service you choose, the weight of your shipment, and the distance from our state-of-the-art Fulfillment Center located 30 minutes west of New York City. To calculate the actual shipping cost for your order, please first add all the items to your cart. From your cart you can either get a quick shipping estimate or proceed directly to checkout. If you proceed to checkout, you will be provided with the exact costs of our various shipping options (Free Shipping,Flat Rate, UPS Next Day, etc.) before selecting one option and confirming your order. Standard order processing is approximately 1-3 business days, and we will send you a tracking number for your shipment via email when it leaves our fulfillment center. Please note that all weekend orders regardless of shipping type may not be processed until Monday and shipped on Tuesday. For a 2nd Day or Next Day Air expedited package, we will make every attempt to ship it the same day you order. However, depending on the time of day the order is placed, it may not ship out until the following business day. For example, if you order a 2nd Day Air delivery after 4pm on Monday afternoon, it would likely ship out via 2nd Day Air on Tuesday - which means it will arrive to you two business days later on Thursday. What are my packaging alternatives? We package our products neatly and securely. We offer kraft colored, stand-up spices pouches (pictured above) with an oval window and zip seal (with redundant hot seal at the top). These pouches generally fit 2oz, 4oz, and often 16 oz. Retail Size quantities, depending on the weight/density of the product ordered. Likewise, our Bulk Packages deliver in secure, rigid clear plastic stand-up spice pouches with zip seal (and redundant hot seal at the top). For larger quantities, products will ship in secure plastic bags, with plastic ties and boxed appropriately for shipping. All orders are shipped in rigid USPS-/UPS-approved boxes. All pallet orders will contain sturdy boxes, appropriately labelled, safely stacked and securely wrapped, with Bills of Lading visible to the receiving supervisor. No, not in the USA. Spices are considered food and therefore free of state and federal taxation. For international customers however, our products may be subject to various import duties, customs charges and other local taxes depending on the country and final destination. We are not responsible for these charges, nor can we predict their amounts. See more packaging pictures and other helpful information on Twitter @Spice_Tweet, Pinterest and on Facebook too!